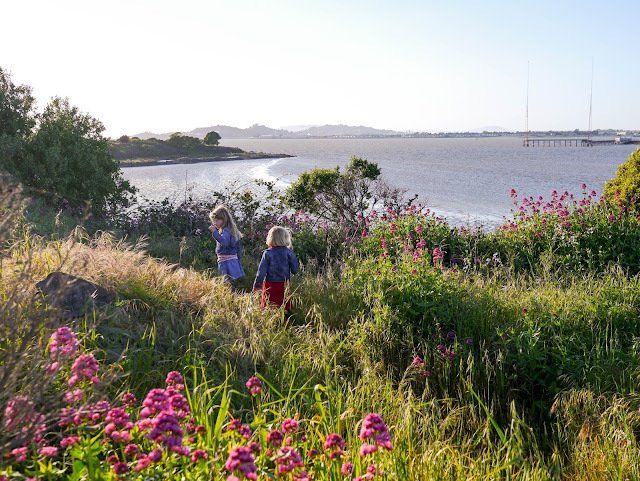 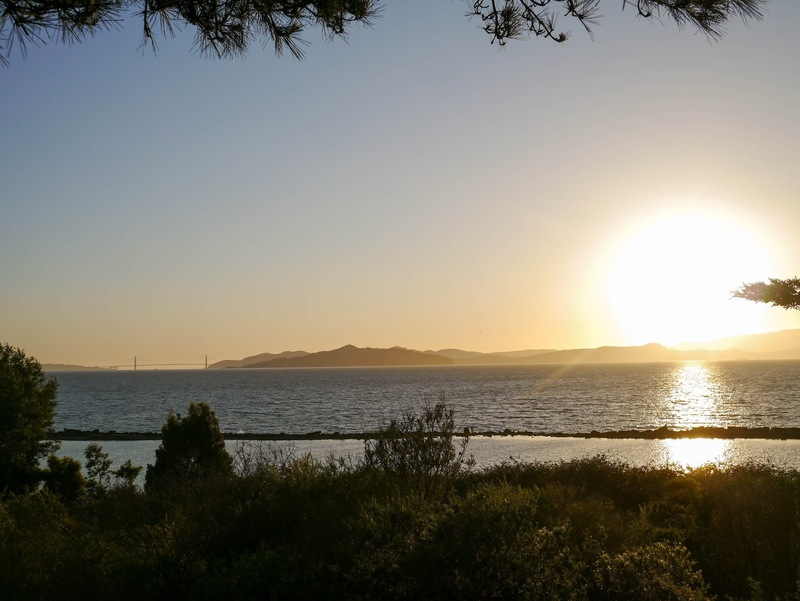 The Bay Area is home to plenty of waterfront parks with stunning views. 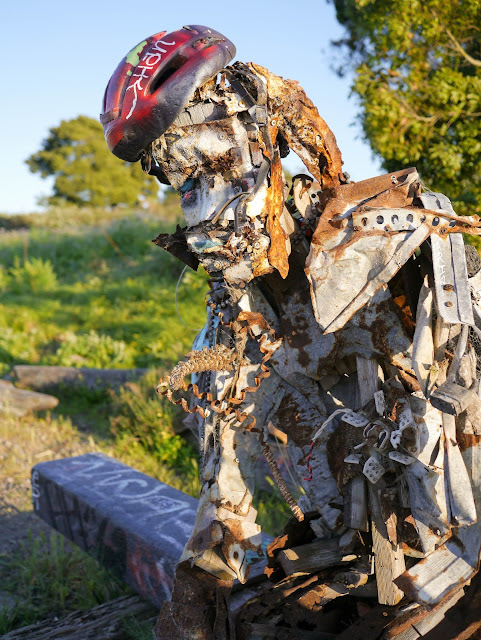 It's also home to a lot of quirky street art. Every now and then these two things combine and we end up with truly original places like Albany Bulb, here in the East Bay. Albany Bulb is a peculiar place. 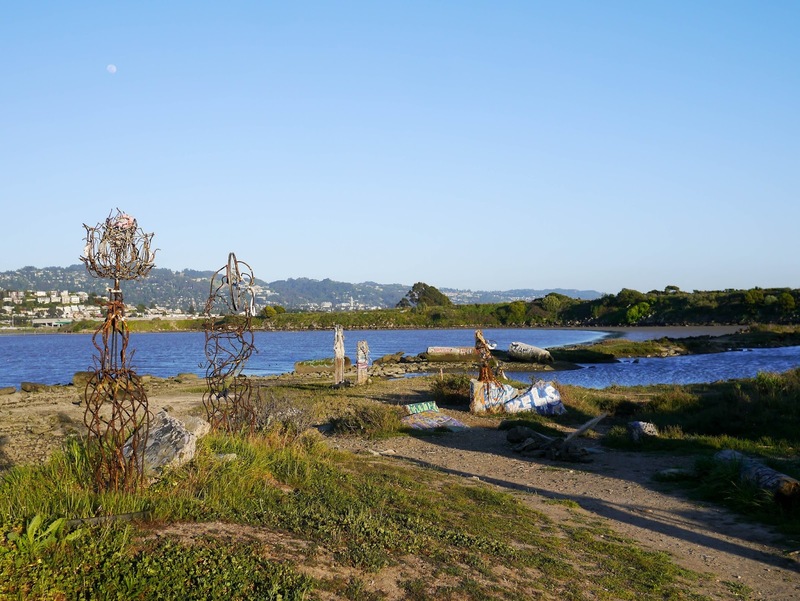 A former landfill site created in the first half of the 20th Century, this small peninsula was, until recently, most notably known as a homeless encampment. 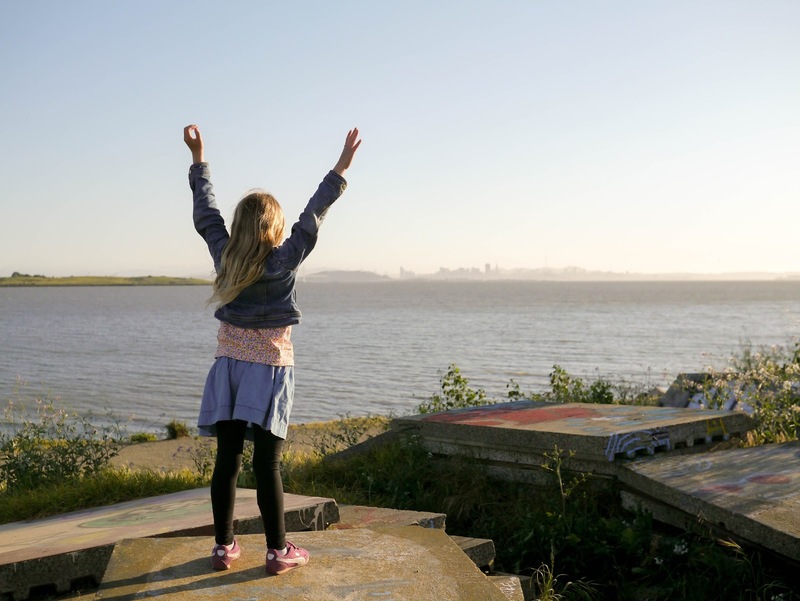 From the early nineties through until 2014, Albany Bulb was home to a small community of residents who were otherwise homeless. 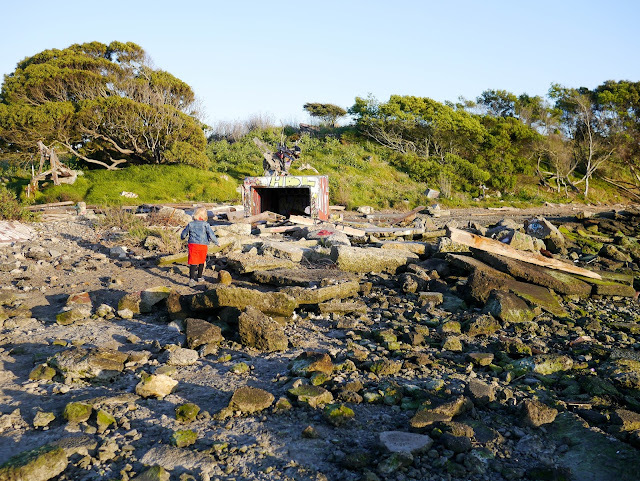 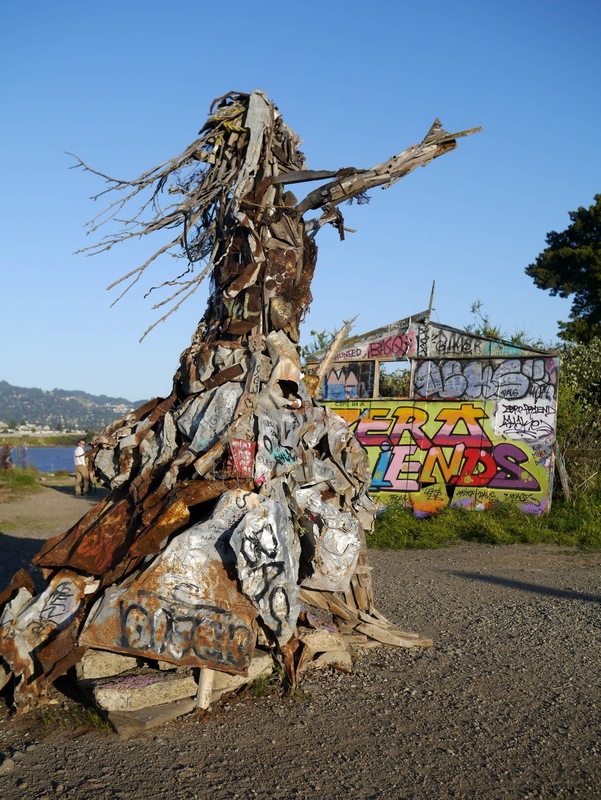 More than just a tent city, Albany Bulb was filled with semi-permanent structures created out of scrap wood, discarded building materials and hard waste. 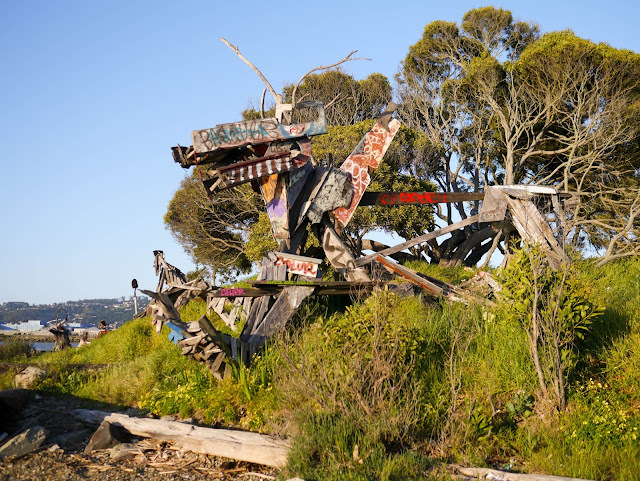 We never went to Albany Bulb during this time but from what I've seen online some of the structures were pretty amazing, although not the most sturdy looking. You can see one of the biggest structures here. 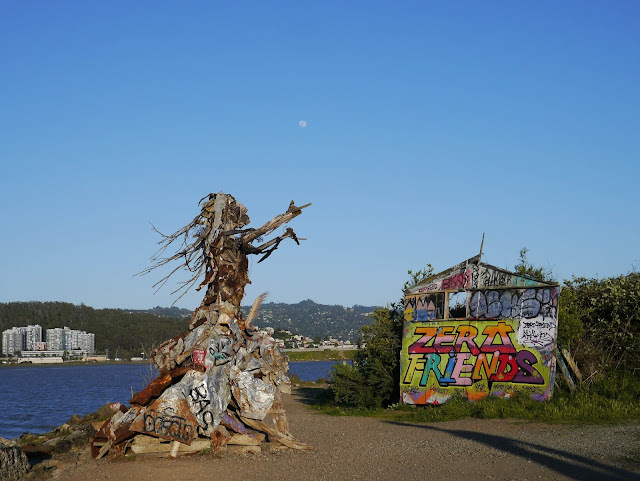 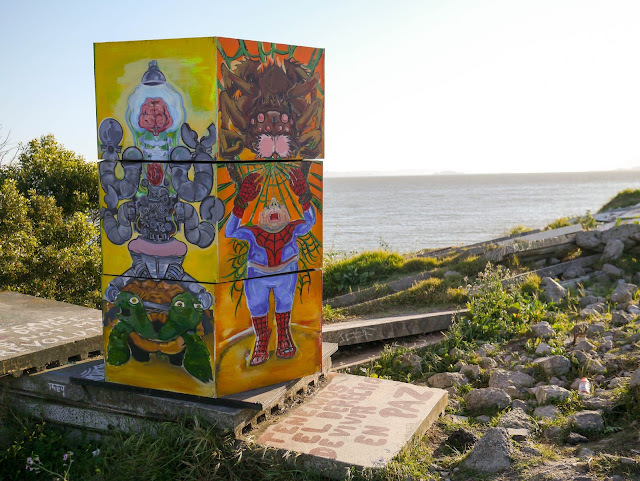 During Albany Bulb's years as a homeless encampment many artworks were there created both by residents of the Bulb and others in the community. 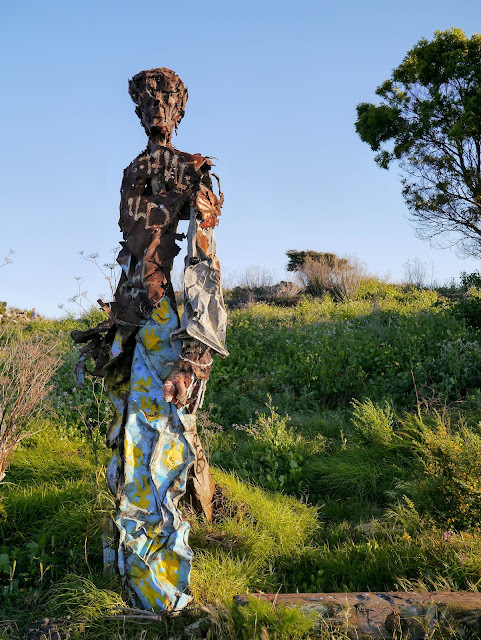 These artworks mostly include murals painted on the concrete slabs that make up much of the Bulb's landfill base, and sculptures made from found objects. 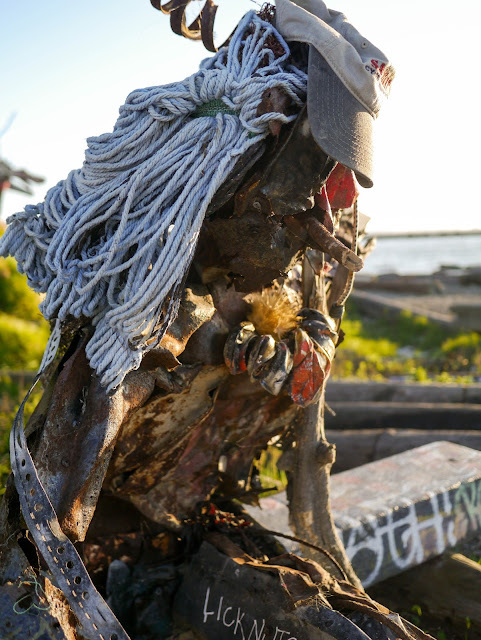 The homeless community may be gone from Albany Bulb, but the artworks created during this time still remain. A while back we visited Albany Bulb late in the day to check out the artworks, the view over the Bay, and the sunset. 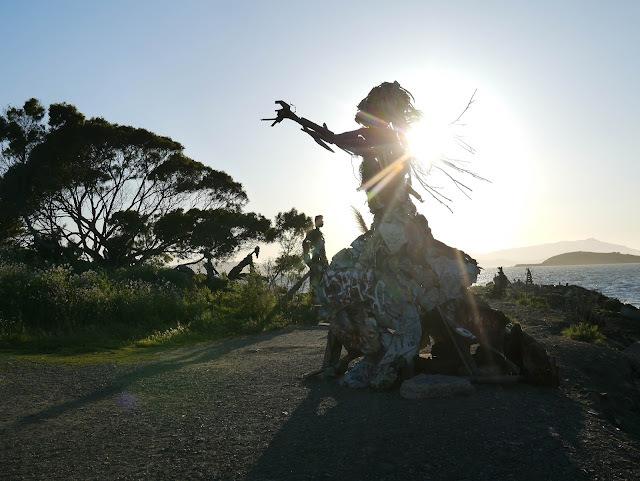 The sculptures are pretty amazing. The girls thought some of them were a little creepy but they were intrigued to check them out. 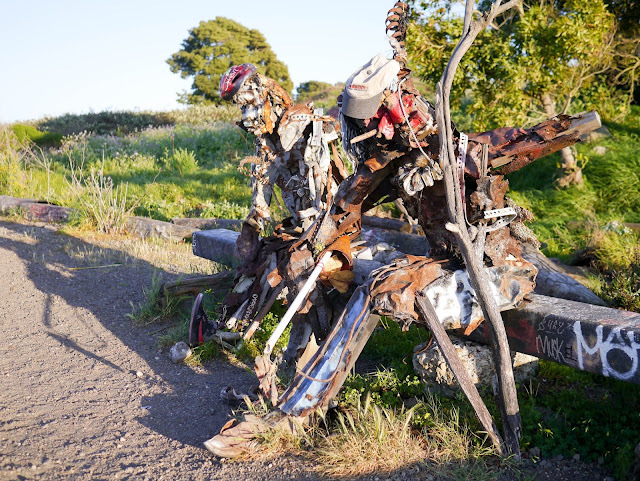 I've got to admit, some of the sculptures did look rather zombie like to me! 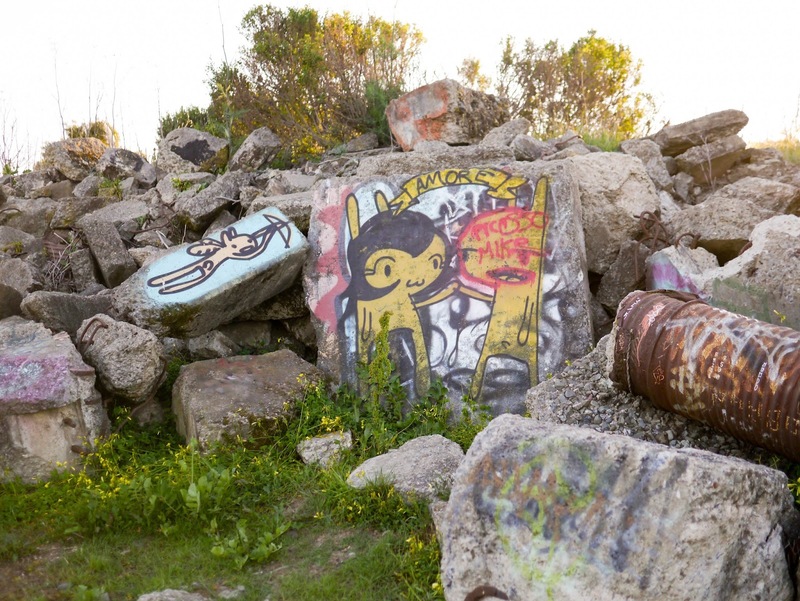 As I mentioned earlier, Albany Bulb was originally a landfill site filled with mostly construction waste such as concrete and rebar. 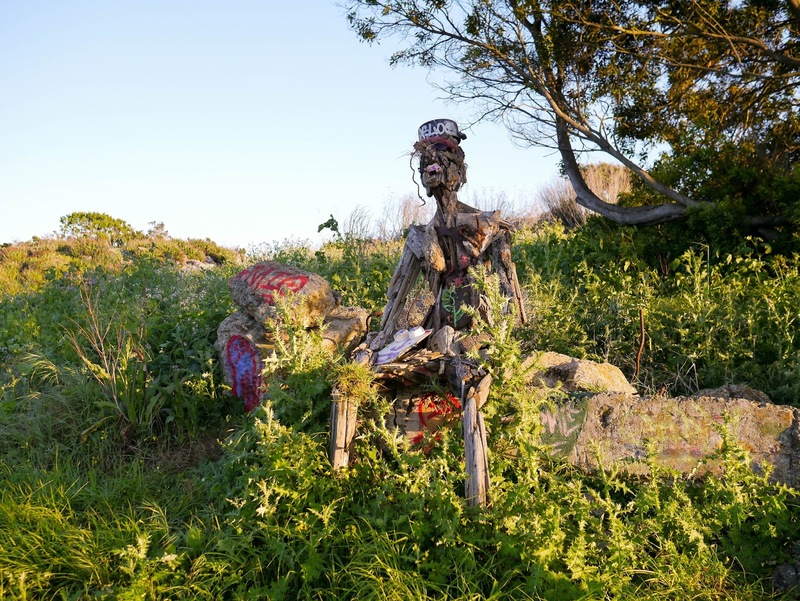 While vegetation has covered most of the ground, there are still many places where the landfill origin of the Bulb is visible. 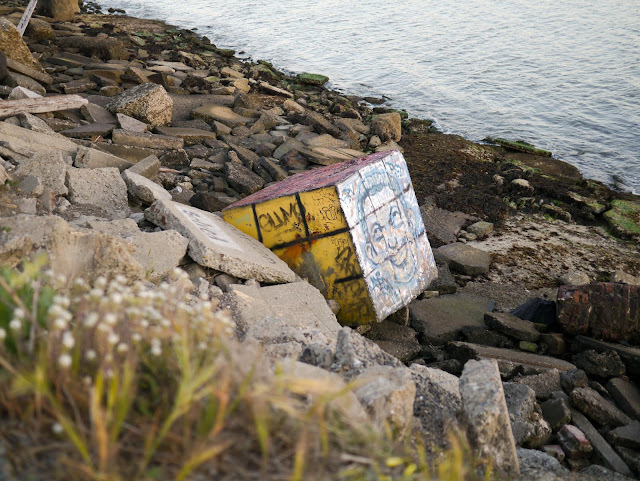 Much of this concrete has been painted with murals. 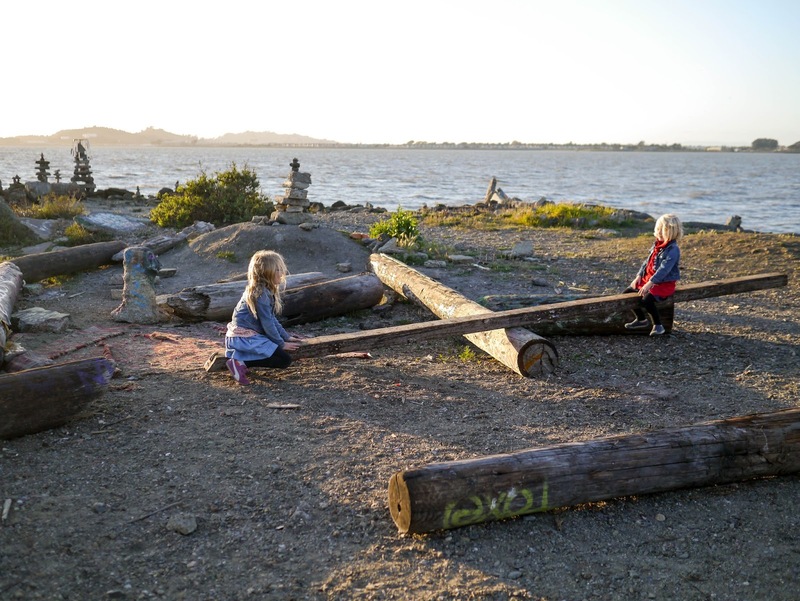 Ava and Lola were pretty excited when they came across a pile of logs that had been set up like see-saws. They hopped on straight away and started playing. 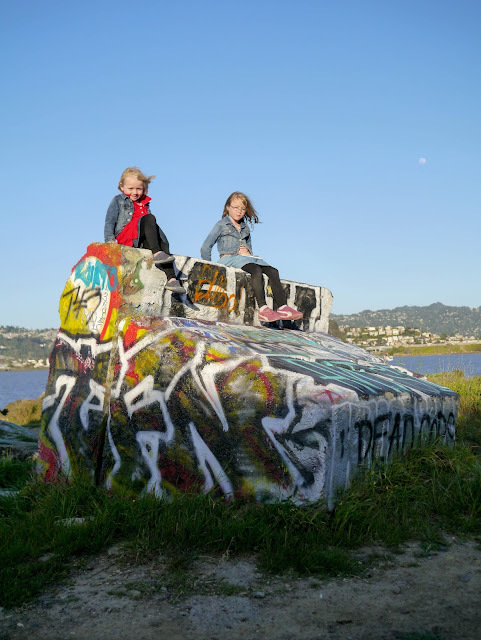 I'm glad they were wearing leggings. 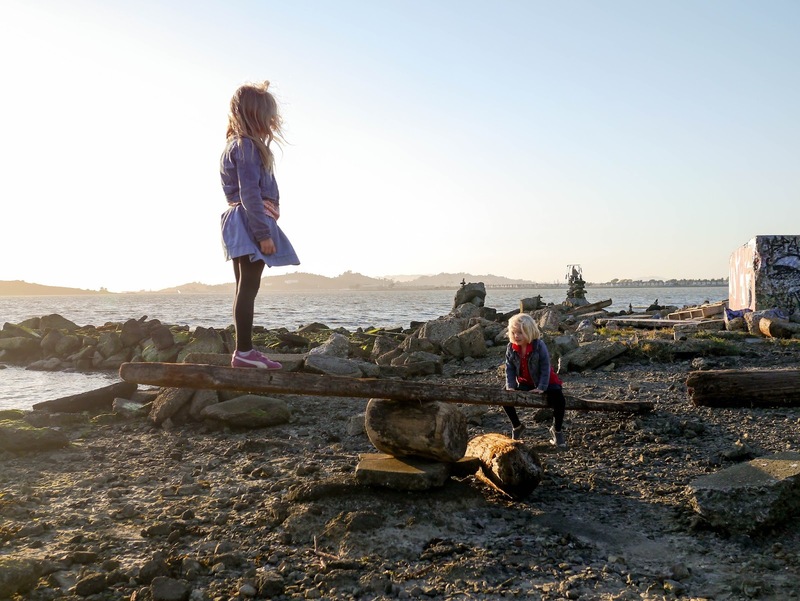 I don't want to imagine the splinters they would've had otherwise! 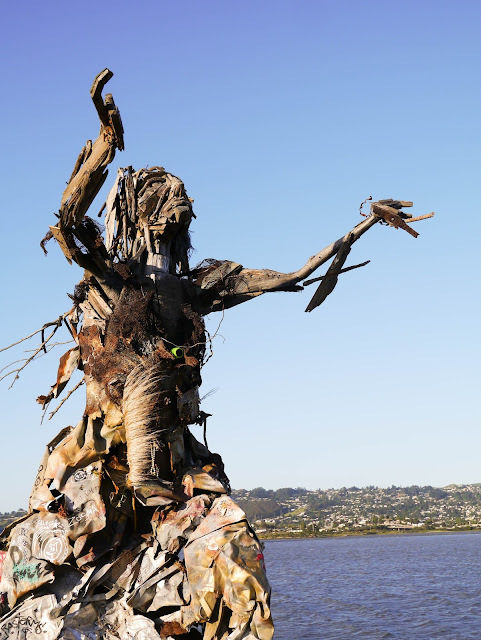 The sculptures may be amazing, but the other main draw card at Albany Bulb is the view. Located on the Bay opposite the Golden Gate, Albany Bulb is a fantastic spot to sit and watch the sunset. Or just take in the views of the city. 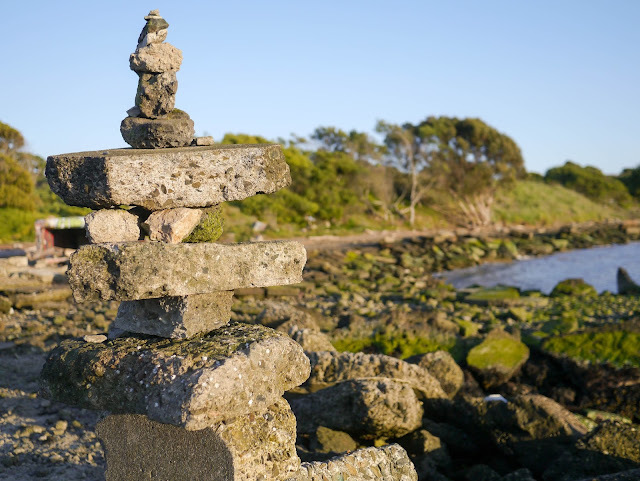 Albany Bulb is a great place to visit for views and a little Bay Area quirkiness. 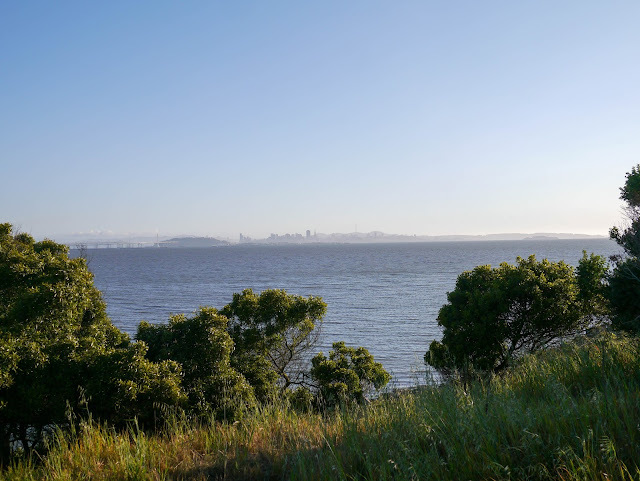 It's relatively quiet (we only saw a handful of other people while we were there) and there are lots of walking trails. 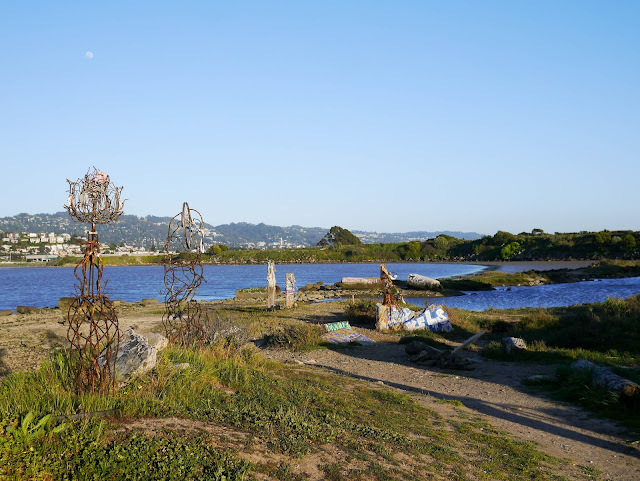 There is even a little beach which is a popular dog walking spot. 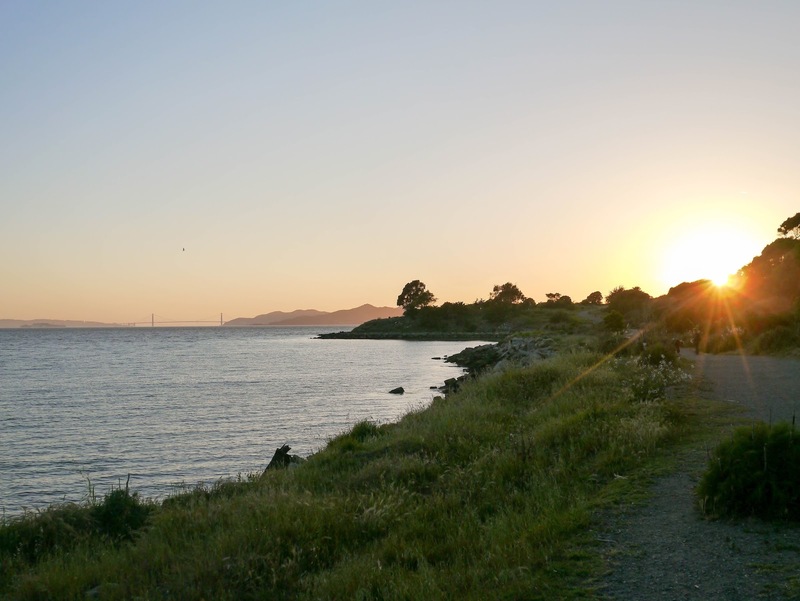 Just remember to wear sturdy shoes and, if you're there for the sunset, bring a jacket because like most places in the Bay Area, once the sun goes down it gets a little chilly. 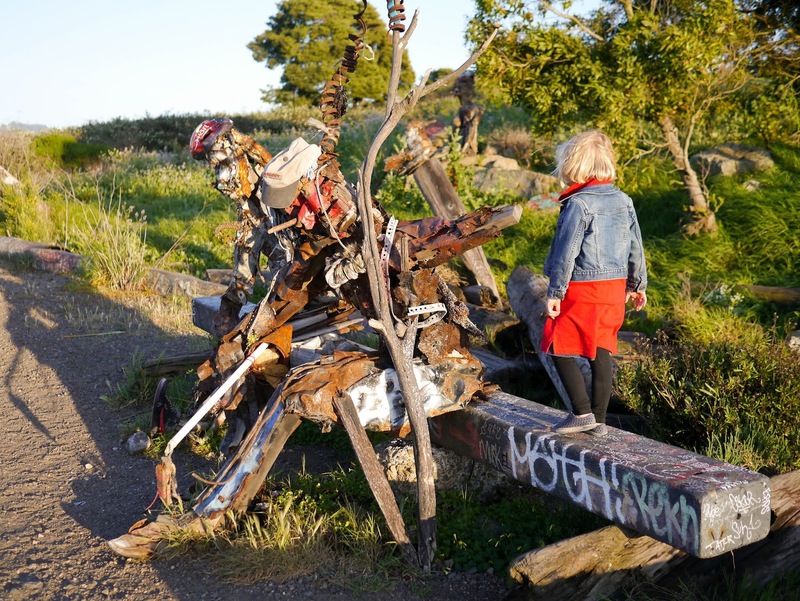 Oh, and as we discovered, it's not particularly stroller friendly. 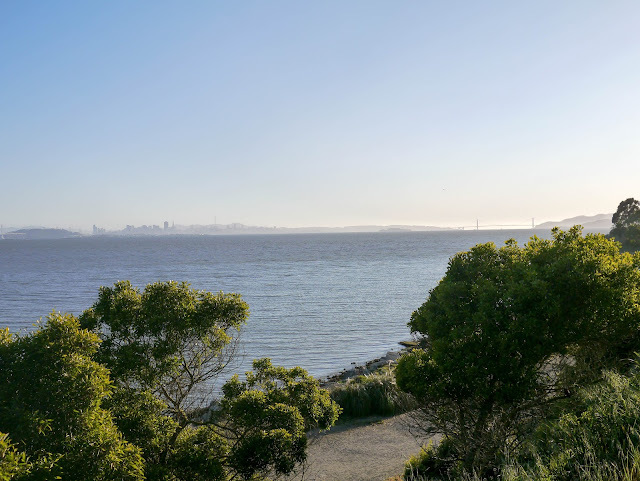 Mathilde was asleep when we arrived and I didn't have her baby carrier with me so we took her in the stroller. While we were able to get around with the stroller I wouldn't really recommend it - unless you've got an off-road stroller! 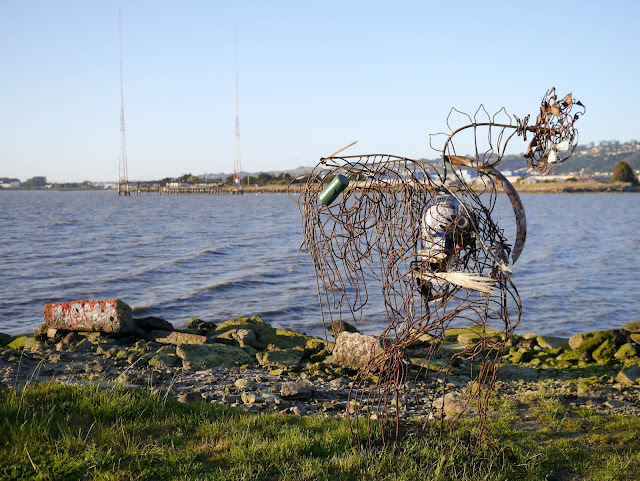 Albany Bulb is located at the end of Buchanan Street in Albany, just behind the Golden Gate Fields race track.